-- A tale of an amazing life, a voyage of self-discovery and ultimately release, set against a glamorous life of splendor amidst the rise of the jet-setting age of the 50s and 60s. Living in various overseas postings, we follow Andrée Magnus’ path from the early seeds of self-recognition in Puerto Rico; to a blossoming in Venezuela; finding courage while living in Paris, France; and ultimately freeing herself from the bonds of an unhappy relationship. We see the scenery through her eyes, from the fetid tropics of Latin America, to the streets alive with art and revolution in France, to the chilling snows of northern Europe. This novel is autobiographical, from a woman who truly lived her life completely, as a fine artist, poet and writer. Her perspectives and pathos are deep and stirring, the imagery bold and vivid. -- Anna Broxton’s marriage to the top Tommy John surgeon in the West and their idyllic ranch life in the Flathead Valley of Montana makes most women envy her. That is, until one simple moment changes her family forever. 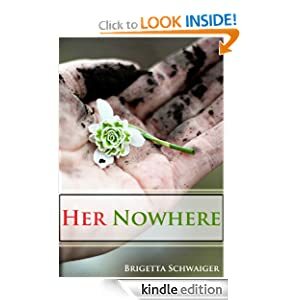 Unable to bear the presence of her once adored husband, she abandons her life and finds "her nowhere" a small organic farm on the Southern tip of Sweden. There, she tills the soil, plants seeds, learns to pickle cucumbers, and fights her attraction to a younger man. Her unlikely friendships with two unique women awaken her to suffering other than her own and help her face her part in the tragedy. She returns home to find her husband has found his own nowhere and must fight for whatever love remains in the gaps of their shattered family. Her Nowhere is a tearjerker about relationships and what they can survive—if we let them. 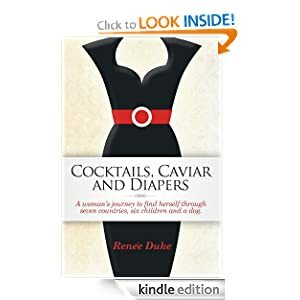 It is appropriate for book club discussion about our own unique tragedies, how we respond to them, how they shape us, humanitarianism, organic farming, and the imperfection of motherhood. -- The world is experiencing a lot of turmoil these days especially economic turmoil. Uncertainty is in the air. There is no question things are changing rapidly. The old economy is dying as a new one emerges. Charles Dickens put it like this in the first line of his book, Tale of Two Cities, "It was the best of times, and the worst of times." We all have a choice to make which time it is going to be for us. Many people, even us Christians, have been playing the blame game for far too long. It is time to start taking personal accountability for our own actions. 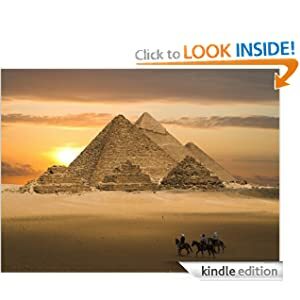 There is Corn In Egypt simply points us back to the principles of God in scripture concerning money. As Paul the Apostle stated, "If we neglect so great a salvation we will not escape the wrath that is to come." Similarly, if we neglect the knowledge of God concerning our personal finances we are sure to end up in economic destruction at a personal level. The author takes you on a journey of hope into the book of Genesis to the story of Joseph, son of Jacob. Through Joseph's story he shares a process that can lead struggling saints out of financial despair. There is Corn In Egypt offers the struggling Christian hope of a better economic tomorrow. 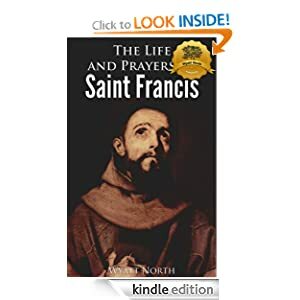 -- The Life and Prayers of Saint Francis of Assisi is the second book in this wonderful series. One part biography, one part prayer book, Saint Francis of Assisi is an essential book for any Christian. Saint Francis of Assisi is quite possibly the most popular of all Christian saints. Perhaps it is his adoration for all living things or his unrelenting generosity that has made so many people open their hearts to him. Perhaps it is the deep conviction and piety expressed not only by the saint himself, but in his name, in the Franciscan orders throughout the centuries. Whatever the reason, in a world that is quickly developing in a direction diametrically opposite to the saint's own simple asceticism, Saint Francis of Assisi still stirs strong emotions and compassion. How close he found God, in the very nature around him, is inspiring. 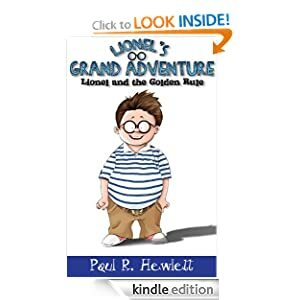 -- Lionel’s Grand Adventure is a beginning chapter book about a twelve year old boy who is constantly subjected to ridicule from his Mom and older brother. Things change when he makes a seemingly innocent discovery. The magical, yet unpredictable, Three-Toed-Potbellied Walbaun foot takes him on the adventure of a lifetime. Explore Lionel’s adventure and discover the wonderful world of the magical Walbaun foot and the lesson that it helps teach Lionel. My book helps children who want to feel better about themselves. It helps them find a role model. Lionel is very comfortable with who he is despite his physical shortcomings and his bullying Mom and older brother.